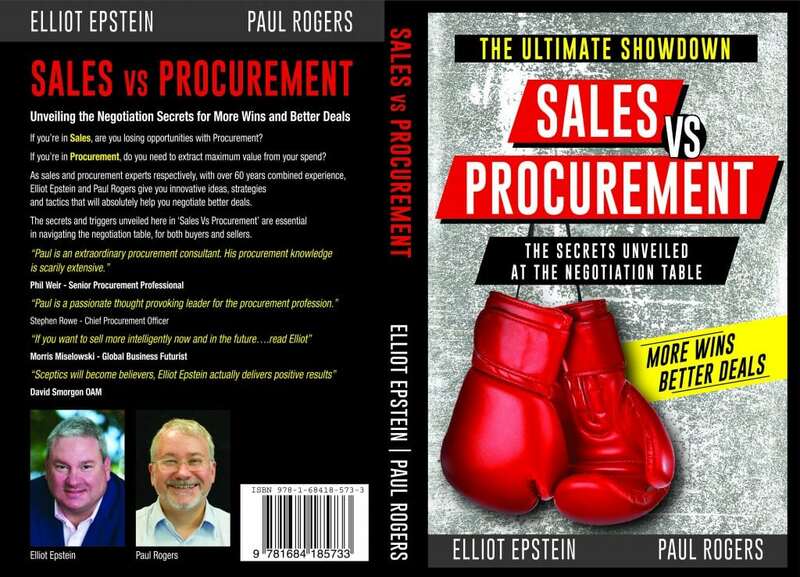 Sales versus Procurement is a unique book where Australia’s leading procurement coach Paul Rogers and iconic sales guru, Elliot Epstein step into the cage to discuss their respective secrets, tricks and tactics in Negotiation. The book enables you to understand the other’s position better as these two experts lay out their techniques and dissect them so you can apply them in your world as a sales or procurement professional. Sales is Elliot Epstein. Elliot is one of Australia’s leading sales speakers, pitch consultants and sales trainers for, sales directors, sales people, BDMs and account managers with over 25 years experience working with clients like HP, Telstra, Computershare, Lend Lease, and Samsung.